In our first lesson, we'll discuss the concept of professional quality certification as defined by the American Society for Quality (ASQ). Next, we'll come up with a universal definition of quality, a challenging proposition because so many people have different perspective of what quality is and what it isn't. You'll learn about the history of the quality movement and see how Six Sigma fits in. 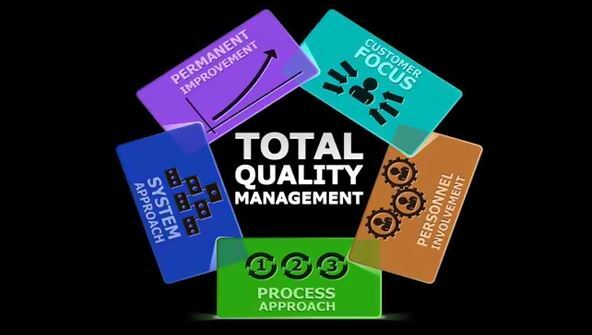 We'll finish up by examining Total Quality Management (TQM) and discuss its concepts and components. Quality is best viewed as a total customer satisfaction package. You satisfy customers by effectively combining products and services. To help you get to know customers better, we'll discuss different customer types. We'll also discuss how you can minimize customer complaints. You'll discover the role that your organization plays in providing high customer satisfaction by maintaining a quality philosophy and creating quality systems. I've often observed that companies don't pay enough attention to problems until they begin to see sales and profits drop. Because of this tendency, an effective way to get top management's attention and hopefully increase their commitment to quality is to express problems in terms of costs. In this lesson, I'll discuss the cost of nonquality (also called the "cost of quality") and its components—external failure, internal failure, appraisal, and prevention costs. We'll also explore the concept of variation and discuss how you can use statistical process control (SPC) to meet customer requirements. Companies grow by entering new markets and meeting unmet customer needs. To achieve and maintain this growth, it's important to have a healthy organization that has the right mix of leadership and power. Today you'll learn about the basic leadership styles and two leadership models. You'll also discover how the concepts of distinctive competency, competitive advantage, and organizational assessment position your organization for success. In today's lesson, you'll learn what makes people tick and how to manage change. Reaching quality levels you desire will require dedication from everyone in the organization, so you need to know what motivates people in order to successfully work with and direct them. Also, as you work with people, you're faced with change. We'll talk about forces for change, learn why people resist these forces, and discuss ways to manage change. It seems as if teams are everywhere. Despite the popularity of teams, far too many people report that their experience hasn't been too fulfilling. Six Sigma and quality projects rely on high-performing teams, so it's vital that you learn the secrets of team building. Many companies fail to devote enough time to training. After we complete today's lesson, I hope you'll be able to play a large role in making sure that employees receive the right type of preparation. When we finish, you'll have a solid understanding of how to build a strong team and effectively deliver training. When companies decide to improve quality and better satisfy customers, they won't succeed unless all employees are behind these goals. Once you get employee commitment, you need to measure your progress. In this lesson I'll share a concept, "total employee involvement" (TEI), to help you get the most from the total power of every single person at your firm. You'll learn about the role that management and employees play in TEI. You'll also learn how to determine progress by using traditional and progressive performance measurements. Standards and auditing work hand-in-hand. The first helps you plan and the second makes sure that you follow your plans. Firms that conform to standards are more capable of competing. In this lesson, we'll explore the basics of standards and auditing. We'll talk about how standards are used and how they're developed. We'll also explore their benefits and discover how they're defined. Regarding auditing, we'll examine their features, discuss the different types of audits, and look at why auditing is a challenging activity. In this lesson, we'll explore how your firm can use external auditing to assess suppliers' capabilities and internal auditing to improve company operations. You'll learn the difference between external and internal auditing. And I'll share the nuts and bolts of auditing and show you how to plan and conduct an audit and write a final audit report. I believe that ISO 9000 is one of the main reasons why organizations continue to focus on quality. It's difficult for companies to disregard quality once they make a decision to adopt the ISO 9000 standard. In today's lesson, we'll start out with some background about ISO, discuss what ISO 9000 represents, identify the challenges of implementing it, and go over a recipe for successfully putting ISO in place. We'll also talk about each section of the ISO 9001:2000 standard. In this lesson, we'll tackle a number of topics that will increase your knowledge about quality standards and systems. Although ISO 9000 has a high profile, other methods and structures also play a vital role in quality improvement. First, we'll close our study of ISO by looking at a series of standards to manage the environment—ISO 14000. Next, we'll dive into the Malcolm Baldrige National Quality Award (MBNQA), an esteemed award given for quality excellence in the United States. Finally, we'll explore three systems that apply to many of you: QS-9000, the Advanced Quality System (AQS), and the Conformité Europeenne (CE) mark. After you implement everything from the lessons of this course, you can safely say your organization has a quality culture. Without a quality culture, it's difficult to satisfy customers, improve processes, and reduce costs. In addition to discussing a quality culture, we'll also examine quality fallacies. We'll finish up the lesson by identifying the most common quality fallacies and discuss what beliefs should take their place.